Top Kulfi franchises in India for low investment high profit business ';e=summary_img}var c=a+"
What are the best Kulfi franchise opportunities in India? Here we have tried to make a list of some of the most popular Kulfi franchise brands in India. However, please note that this list is not in any particular order of arrangement. In other words, we did not try to compare the businesses listed here and find out whether a certain franchise business option is better than the other. We felt all of them are almost equally good Kulfi franchise businesses and left the choice for our readers. So, here we go. Bombay Kulfi has that ambience of the typical streetside Kulfi of Bombay Chowpatty. The best thing about this brand is that they make their kulfis and BK Natural icecreams without any preservatives or vegetable oils to make them softer which is extremely unhealthy for consumption. Bombay Kulfi franchise cost is within Rs. 10 lakhs and area requirements is about 100 square feet is a prime commercial retail location like a shopping mall or in a busy shopping or business district etc. So if you are looking for franchise business under 10 lakhs, Bombay Kulfi is one such option. You can apply for Bombay Kulfi franchise by visiting the official website and filling in the necessary form. As evident from the the name they are based in Mumbai. Their franchises expansions are all over India though most locations are in Western and South India. Kulfi House is the first premium kulfi franchise brand of India. The application process is also very simple. First you will have to apply for Kulfi House franchise in the phone number mentioned below. Then your application will be reviewed along with your financial abilities, that is, whether you are able to bear Kulfi House franchise cost. Then the management will personally meet the proposer and the company will approve the proposed store location as per its standards and conditions. Then, after the registration of the franchise location, you will have to pay the Bombay Kulfi franchise fee and will get your license. The franchise presence of Kulfi House is mainly in the South India. To know about Kulfi House franchise business opportunities, call +91 8525006000 / +91 9394556698 (Andhra Pradesh and Telangana only) / 91 92294 64606 (Chhattisgarh only). The journey of Orchard Fresh Natural Kulfis and Ice Cream started in 2009 and since then the company has exponentially grown to become one of the best Kulfi franchise businesses of the country. They have imparted the taste of the authentic Mumbai styled Kulfis to Bangalore, and can proudly say that some of their leading customers or clients include A to B group of Hotels, JW Mariott, Grand Mercure, SLN Grand, Fortune group Hotels, Spencer group, Bangalore Club, KGA club, and so on. Now, the company is seeking to reach beyond the limits of Bengaluru and is offering franchise business opportunities in other locations as well. The required investment is Rs. 5 to 10 lakhs and the expansion locations are almost all over India. To know more about Orchard Fresh Kulfi franchise cost, area requirements and so on, call their phone number 080 - 26583983/ 26492015 or Mobile +91 9844033983. Mother Nature Kulfi is yet another premium kulfi franchise brand of India offering franchise business opportunities. If you are looking for a low investment high profit franchise business then Mother Nature is a good option. They serve more than 30 flavours of kulfi and natural ice creams. The investment is about 5 to 6 lakhs. Established in 2011, Kulfiano has grown to be one of the leading Kulfi franchise brands in India within a decade of commencing operations. It is a Delhi based Kulfi franchise, so if you are looking for good Kulfi franchise options in North India, particularly in the Delhi NCR region, we will recommend opening a Kulfiano there. The typical investment required is Rs. 5 to 10 lakhs. To know more about starting a Kulfiano franchise, cost or investment breakup, area requirements and so on, you are advised to call +91 9810078668 +91 9711201601 or alternatively send them an email to info[at]kulfiano.in. 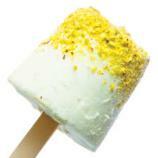 More premium kulfi franchise opportunities in India? Do you know about more premium kulfi franchise brands in India? Please let us know in the comments section below. We will review the new kulfi franchise opportunities and if found suitable, we will add them to our list of top kulfi franchises for low investment high profit business. Happy franchising!